Adidas has been releasing some serious heat back into circulation on their site. Last month the ZX Flux Cityscape returned, and today the Element Refine Tricot Blackout has popped back into stock. 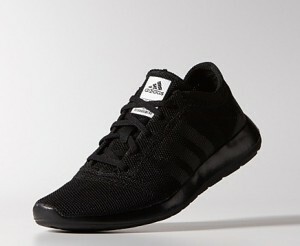 Kanye West made the adidas blackouts popular after recently sporting several silhouettes in this colorway. You can cop a pair now for retail with free shipping, but don’t sleep on these, they won’t last.